When your pet is sick, our comprehensive physical exam may reveal that additional testing is required in order to properly diagnose him or her. In most cases our doctors will access the results within minutes so that appropriate treatment can begin with your pet as soon as possible. We offer a variety of laboratory tests in-house in order to facilitate faster diagnosis and development of treatment protocols. . There are different types of blood tests that allow us to evaluate the functions of the major organs, determine the total count of all types of blood cells which helps detect infection or other abnormalities, and shows if your pet has heartworms. A blood test can also indicate if your cat has a presence of feline leukemia virus or feline immunodeficiency virus. A test of your pet’s stool will help us determine if your pet has intestinal parasites. 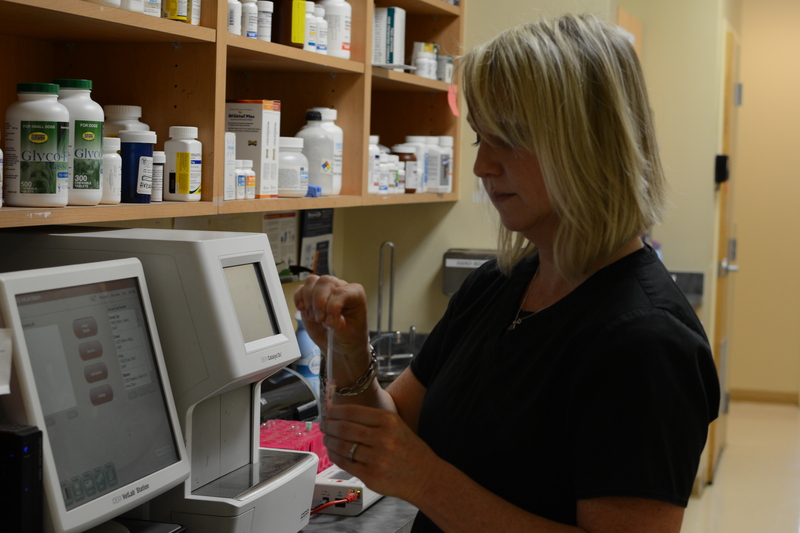 There are numerous tests conducted in-house such as urinalysis, dermatological tests, fungal cultures, etc. In addition, we partner with major universities for outside laboratory referrals. Through the use of digital technology, we have the capability to use less radiation and receive better quality radiography than film based radiology. Therefore, your pets and our team are not exposed to an extensive amount of radiology and most images can be acquired within a shorter amount of time. These images allow our doctors to diagnose problems that cannot be seen during an external examination. 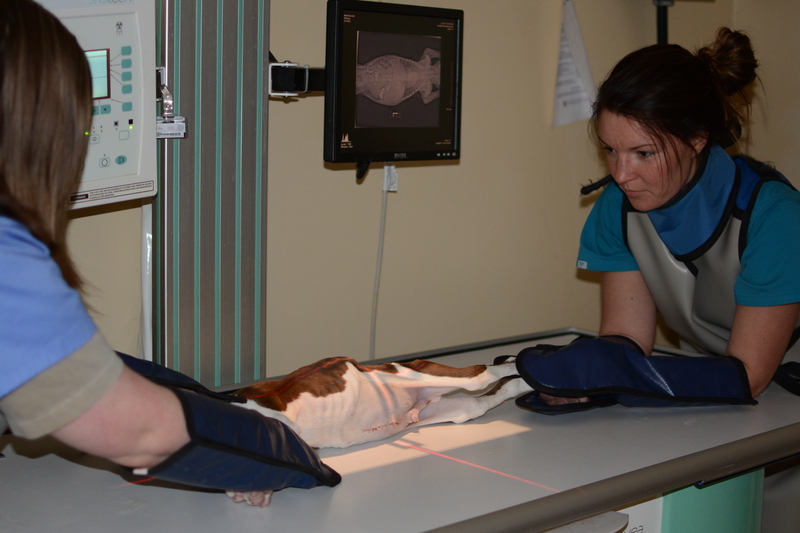 Also, the digital format allows us to refer images through the internet to board certified veterinary radiologists for second opinions when necessary. Just as the X-ray, an ultrasound gives an internal picture and is used to examine a patient’s internal organs and structures such as verifying pregnancy, determining the cause of intestinal disorders, evaluating the urinary tract for abnormalities, checking for abdominal masses or lesions, etc. The endoscope is used as a non-surgical option for our doctors to see first hand what is directly happening in the airways, sinuses, the esophagus, and the stomach. Our doctors are able to use it to quickly remove foreign objects, to diagnose diseases of upper and lower gastrointestinal tract, and for bladder problems in dogs and cats. An electrocardiogram is used to gather images and information about the functionality of the heart. It is the diagnostic test of choice to diagnosis abnormal heart rhythms and is typically accompanied by other diagnostic tests for a more thorough abnormal diagnosis of the heart. The tonometry is used to help our doctors diagnose eye diseases and disorders such as Glaucoma in pets by taking precise fluid measurements inside the eye.